Joaquin “El Chapo” Guzman has been sent back to the maximum-security prison he escaped from six months ago after his recapture on January 8. The Mexican drug lord was paraded before cameras before being bundled into a helicopter to Altiplano prison in central Mexico. El Chapo (Shorty) Guzman escaped from there in July through a tunnel dug in the showers. He was arrested on January 8 in the city of Los Mochis in his home state of Sinaloa – which he had come to dominate through the drugs cartel he led. 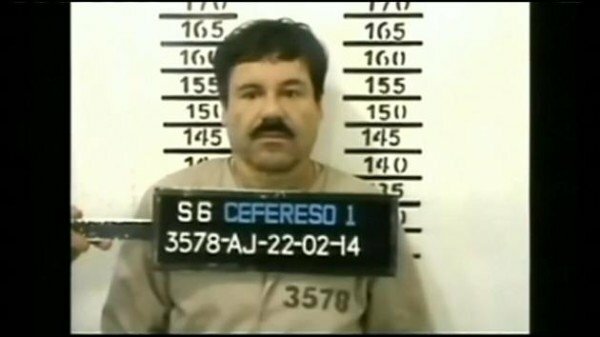 During the early-morning raid, El Chapo Guzman managed to flee through a drain but was later caught by marines in a shootout. Part of the reason El Chapo Guzman was tracked down was because he contacted actors and producers in the hope of making a movie about his life, Mexico’s Attorney General Arely Gomez said. Mexican President Enrique Pena Nieto described Joaquin Guzman’s arrest as a “victory for the rule of law”. The United States congratulated the Mexican government but did not indicate whether prosecutors would seek Joaquin Guzman’s extradition. In a statement, Attorney General Loretta Lynch said Joaquin Guzman had caused “significant violence, suffering and corruption on multiple continents”. El Chapo Guzman’s July escape was his second – he was first arrested in Guatemala in 1993 and escaped from Puente Grande jail in 2001, reportedly in a laundry basket after bribing officials. He was on the run for 13 years before being held again in 2014.